Join us for a performance of African and Cuban Music from Lokkhi Terra, one of the UK’s leading exponents of World Music, guest starring St Chris students on Wednesday 21 June at 7pm in the St Chris Theatre. Since the release of their debut album No Visa Required in 2010 London-based Lokkhi Terra have been tearing up the music rule book, wowing audiences with their unique blend of musical genres. 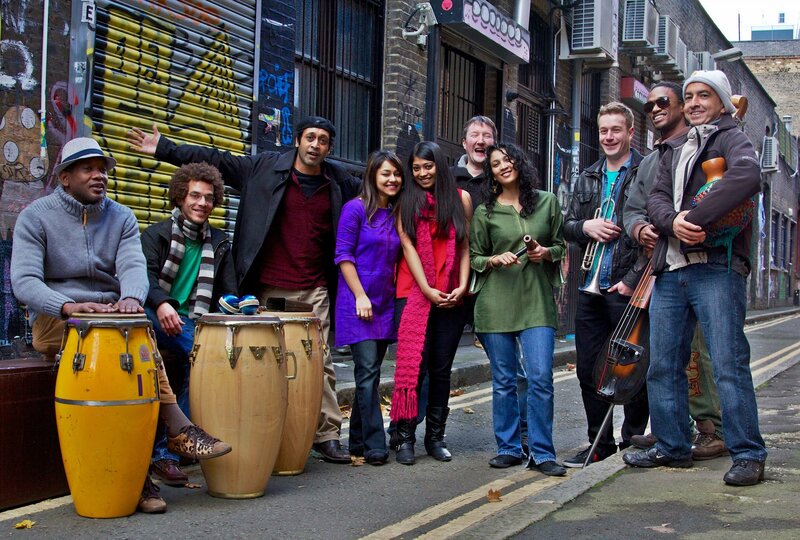 Their critically acclaimed second album Che Guava’s Rickshaw Diaries (2012) has been followed by a series of international collaborations; CubAfrobeat with Afrobeat Ambassador Dele Sosimi and two albums with the Bangladeshi roots legends Shikor Bangladesh All Stars. This concert will be hosted by Lokkhi Terra’s leader Kishon Khan and St Chris’s own Justin Thurgur, with support from the Lokkhi Terra crew and St Chris students from the Junior and Senior Schools. The students are taking part in workshops earlier in the day as part of the St Christopher School Arts Festival which runs from Monday 19 to Friday 23 June. Tickets are £6 each + ticket fee and are available via Eventbrite here.